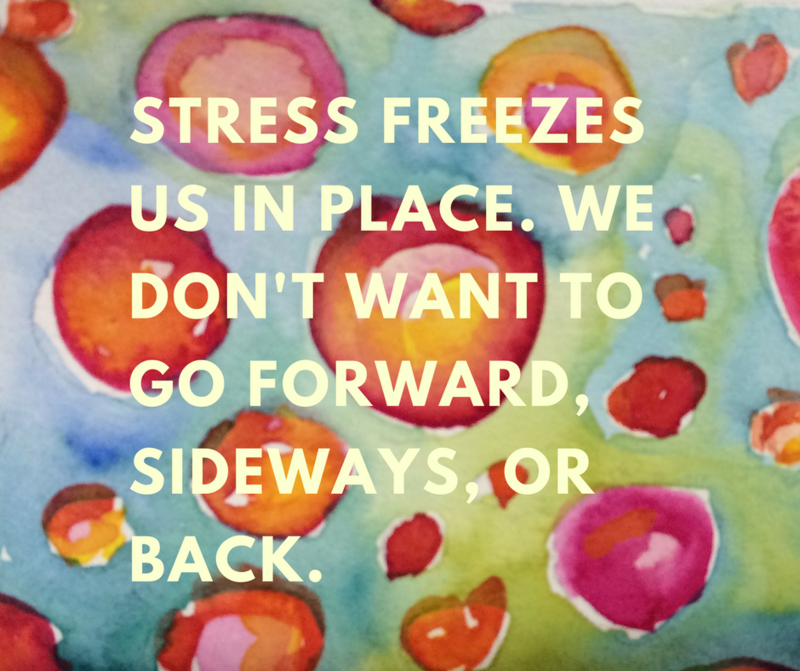 You may have noticed that we’re living in stressful times. That doesn’t just affect one country, and it’s showing up across the political spectrum. Everywhere we look, there’s a lot of uncertainty about important things, which creates real stress. Not because your stuff isn’t valuable. Your product or service might be the exact thing that your audience needs to climb out of that dark spot. 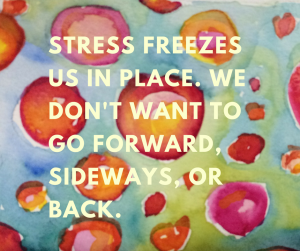 But stress tends to freeze us in place. We don’t want to go forward, sideways, or back. Because any of those might Make More Bad Things Happen. The confused mind does not buy. But inaction (by definition) isn’t getting us anywhere. Whether your audience has big stresses or small ones, this is a great time to help them manage that stress, move forward, and get their lives back. The times of greatest pain are also the times of greatest opportunity to help. You’re going to see an overhaul in 2018 on how Copyblogger approaches education — and I’m thinking of jumping into the fray as well here at Remarkable Communication. For about 8 years now, Copyblogger has created environments of education and support. We’ve offered big communities (Third Tribe, which became Authority, as well as the Digital Commerce Academy) with a variety of resources on an array of relevant topics. Our students have been invited to self-direct to the advice they need most in that moment. This coming year, we’re going to build a lot more tangible stepping stones. Environments are great places to learn and grow when you’re in relative safety. But when things get freaky, we need more sign posts. Here’s the next step. Here’s how to take it. Here’s why it’s safe. Too many details just add to the overwhelm. Keep the benefits clear and the conversation focused. We’ll still be providing a supportive, encouraging environment, of course. But the focus is going to be on well-defined steps with a clear beginning, middle, and end. I’m a huge fan of coach Dan Sullivan’s observation that an entrepreneur’s first obligation is to protect her confidence. Not an entrepreneur today? The reality is, as the world gets weirder and weirder, entrepreneurial habits pay off. Even if you’re not a business owner, you want to get into the habit of thinking and acting like one. That’s been true for at least a decade, but it’s more important now than ever. Our obligation as content publishers is to help our audiences strengthen those habits — of self direction, consistent action-taking, and confidence. Narcissists and sociopaths have no trouble believing in themselves. The rest of us have times when we need some help. Think about how you can encourage your audience, give them the skills they need to create small wins, and help them stay brave when things are looking scary. Whats one of the best confidence-builders in uncertain times? Everyone likes this proverb because it feels good — but I’m going to provide an alternate version. If you want to go fast, get some damned help. If you want to go far, find a community … and also get some damned help. The “successful lone wolf” has been a myth for a long time. Humans are more intertwined and interdependent than ever, thanks to the global economy and our friend the Internet. As someone who builds things, you need to make connection an integral part of your life. Get into as many fruitful conversations as you can. Face-to-face when you can, but most of them will probably be online. You’ll want to help your audience connect as well. You can do that by building your own opportunities for community, or you can do it by recommending communities that you find nourishing and valuable. A community that fits that description for me at the moment, by the way, is Tara Gentile’s CoCommercial. It’s a great group of business owners who connect to encourage each other, share advice and best practices, and just generally have each other’s backs. 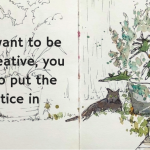 I was thinking about throwing together a small workshop for writers, helping to share some of what I’ve learned in nearly 30 years writing for the web. Would you be interested? What would you want me to cover? What could I teach that would make something meaningful happen for you? For me it would be about dealing with imposter syndrome building a consistent writing habit. Cool, thanks Ash! Those are excellent topics that I think a lot of folks struggle with. I’ve tried to set up and run several business at this point. None of them have made any money, or even gathered many interested readers. I spent a lot of time figuring out reasonable prices for my services, and eventually offered my best skills for free, and there were no takers. I feel defeated, and this makes it hard to write any more. Perhaps you know others who feel this way. Not only do I know people who feel that way, I’ve faced that myself. When I first started my business (way back around 2008) I ran through a whole bunch of business models before I found one that got traction. It’s really difficult to keep going emotionally. I had two advantages — one, I couldn’t give up since my “day job” company was wobbly and doing round after round of layoffs, so I was pretty sure I had to jump, and two, I had met some wonderful people who helped me to keep regrouping and keep trying new things. Usually I find that if things just aren’t working at all, and you’ve been taking consistent action, it’s for one of three reasons. 1. The audience just doesn’t want that service. They might need it, they might benefit from it, it might make their lives better, but they don’t want it, so everything is an uphill battle to get them to even look at content. Solution: ask your audience what they’re actually struggling with, look for patterns, esp. the ones who leave you detailed answers to that question, then move toward solving those issues. 2. You don’t have enough people in your audience. If you had 1000 people on the list, you might get a reasonable number of takers, but you have 100 people and it’s not enough to really know. Solution: find more traffic sources, like guest posting, paid traffic, or doing some one-on-one outreach. 3. The message is off. You’ve framed it in a way that’s not resonating, or the offer might be confusing. Solution: this is where marketing advice comes in handy, as well as talking with folks who saw the offer but didn’t buy it. And sometimes it’s a combination of those. You have my sympathies — it’s a tough place to keep your spirits up. Community helps! Find some buddies who are trying to get a project going, and support each other. Yes! That’s always been my go-to tactic. Pack a posse. Since I’m coming back from a hiatus due to My Years of Living Injuriously, it’s difficult to attract the RIGHT community of both peers & clients when your current content is thin or nonexistent. I’m pretty sure I know the whys and wherefores of my current business woes AND how to fix them. But it will take a minute. What would hurry up the process? That’s one reason I’ve been so heavy in my training schedule this past 12 months since I’ve returned online. Authority and the Friday webinar series has been a real lifeline for me. It was a HUGE part of why I looked smart in Seth Godin’s The Marketing Seminar. That (TMS1) too has gained me a very valuable cohort. Not all of these experiences have been positive. Few have been lucrative. But they are all edging me closer to profitability and sustainability. Lessons learned. I have no illusions. I know to pack a lunch. But I also know that surrounding myself with smart, generous, warmhearted, and quirkily humorous people who REALLY and TRULY want to breakthrough the barriers to their success not only makes the journey less effort and time-intensive, but also more enjoyable and personally rewarding. Pairing pink hair with pinstripes? I’m all in. And I’d love to connect with others who got so much value from Sonia’s podcast. It’s really challenging to find the *right* community — whether it’s a big group or just a handful of friends who have each other’s backs. I’ve been very lucky over the years, but I’ve also had plenty of experiences that weren’t all that amazing. I would be very interested in a writing workshop. These are super juicy and practical, thank you so much for sharing them, Jo! I can see a lot of potential here for a workshop that really helps people. Writing workshop geared toward content that resonates with target audience would be great – are there tools techniques that can be used etc.